Professor Carl Bender, a visiting scholar within City's Department of Mathematics from 2012 to 2014, is the winner of the most distinguished prize in mathematical physicists. Professor Carl M Bender, the Wilfred R. and Ann Lee Konneker Distinguished Professor of Physics at Washington University in St Louis, Missouri, USA, has been awarded the 2017 Dannie Heineman Prize for Mathematical Physics, one of the highest distinctions available to scientific investigators in that field. 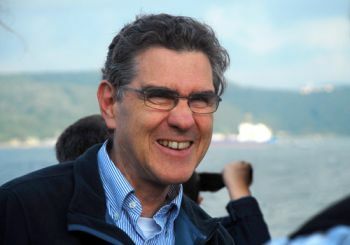 Professor Bender, an internationally renowned leader in mathematical physics, was a visiting scholar in City, University of London's Department of Mathematics, from 2012 to 2014. The prize was established in 1959 by the Heineman Foundation for Research, Educational, Charitable, and Scientific Purposes to recognize “valuable published contributions made in the field of mathematical physics" and is is administered jointly by the American Physical Society (APS) and the American Institute of Physics and consists of $10,000 as well as a certificate citing the contributions made by the recipient. "Carl has accumulated a rich reservoir of experience and knowledge in mathematics and physics that he is always happy to share. Combined with a sense of humour, he has inspired many people on all levels with his enthusiasm and love for both subjects, not only at City University but all around the world. The prize is a well-deserved acknowledgement of his role on a global scale. He has managed to convert a simple and elegant idea into an internationally recognized area of research. The entire Department of Mathematics congratulates him." Mathematical Physics is the application of mathematics to problems in physics and the development of mathematical methods suitable for such applications and for the formulation of physical theories". It is a branch of applied mathematics, but deals with physical problems.